For over a decade, Green Air has served dozens of home and business owners across Contra Costa, CA. We’ve maintained a stellar reputation for our long-standing commitment to delivering quality workmanship, seamless execution, and the highest level of customer satisfaction. Custom Solutions – There is no “off the shelf” approach when it comes to upgrading your home. Instead, we take the time to listen to what you need and work with you to make an informed decision. Industry-Leading Products and Warranties – Brand manufacturers we work with include Certainteed®, LENNOX®, and Daikin. We are also certified Certainteed Master Elite and Certainteed Green Roofers so you can be sure of expert installations, backed by outstanding warranties. Flexible Payment Options – We offer $0 Down 100% Financing for your energy-efficient upgrades through home improvement financing companies such as HERO® and YgreneTM. You can enjoy repayment terms of up to 30 years through your property tax bill. 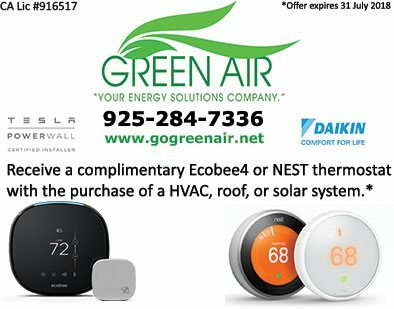 Let Green Air work with you today for your next home improvement project in Contra Costa. 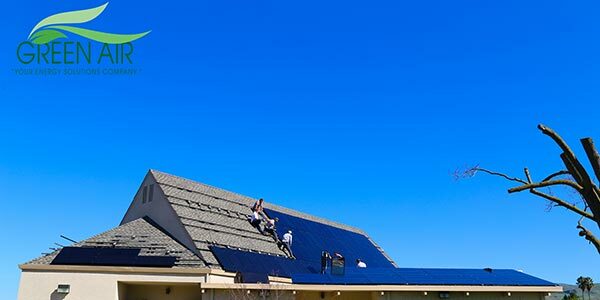 Call us at (925) 62-SOLAR or (925) 28-GREEN or fill out our contact form to get started with a FREE quote. We would love to hear from you.